Today, the Moto X has finally arrived at Sprint after hitting both Verizon and AT&T a couple of weeks ago. 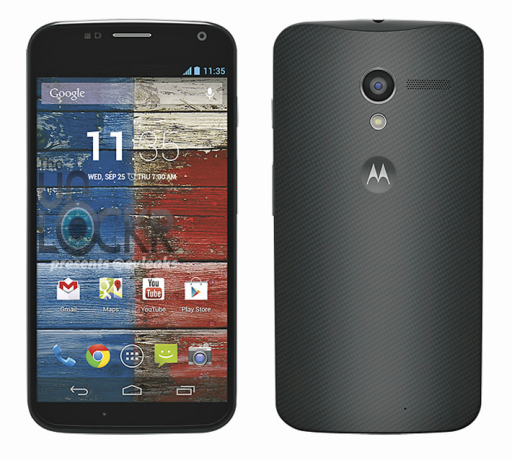 If you’re interested, the Moto X is up for grab at just $199. Those who switched over from other carrier will receive an additional $100 discount, bring down the price to just $99. Sad to say, Sprint’s customers will not have the privilege of using the Moto Maker Customization site to customise the color and style for the Moto X – since this feature is exclusive to AT&T only. Here is the specification of the Moto X : 4.7-inch AMOLED display, 1.7GHz Motorola X8 System, 2GB RAM, 10 Megapixels rear camera, 2 Megapixels front camera, 16GB internal storage, 2,200 mAh battery, as well as Android 4.2.2 onboard. Obviously, the absent of a microSD expansion slot is the main drawback for the device so users will have to stuck to the 16GB internal storage.